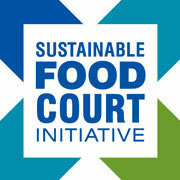 As the Sustainable Food Court Initiative is gearing up for pilots in each of the six food court categories (airport, event venue, mall, office complex, government center and university), the SFCI Team gains depth with the addition of three new team members. In the past weeks BASF, Heritage Interactive Services and Kimberly-Clark joined the SFCI Team as Gold Level Ei Partners. Each SFCI Pilot is supported by an ACTION team consisting of non-profits, business trade associations, facility | property owners, and industry experts from private enterprise. Collaborative effort among diverse team members provides the ingenuity and creativity necessary to untangle zero waste challenges inherent within food court operations. Chris Bradlee, Market Development Manager, Biodegrable Polymers, represents BASF on the team. Along with his impressive technical experience, Chris brings the strength of BASF and their industry network to the SFCI. BASF's vast resources and connections, internally and across industry sectors, are important to the pilot program as zero waste systems based on sound economic models are developed. From Kimberly-Clark, Technical Leader 1, Global Nonwovens R&E Laura Keck joins the SFCI Team. As a chemist, Laura (along with Chris) will educate the team on material impact at the molecular level and how to create the most valuable, useful streams. K-C is interested in purchasing consistent, clean plastics generated from the food courts and other areas to use as raw material in their non-woven product manufacturing. Heritage Interactive Services is represented on the team by Amy Moreland, Business Relationships Director. As a by-products and logistics management company, HIS is a pro at creating efficient, effective recycling systems within business operations. Another emphasis is maintaining integrity within the entire material life cycle. The ZWA Blog post, The Entire Product Life Cycle is Critical, gives an introduction to the Ei | HIS partnership. The timing is impeccable as the Georgia Dome recently accepted the invitation to serve as the SFCI Event Venue Pilot. With enthusiasm, the GA Dome ACTION Team is forming to develop a strategic plan. See the ZWA Blog post, Georgia Dome - SFCI Event Venue Pilot!, blog post for the formal pilot announcement. In June, 2011 the ZWA Blog post, Atlanta Airport - First SFCI Pilot! announced the Atlanta Airport is the SFCI Airport Pilot. To learn about the progress over the past year at the airport, search the ZWA Blog for Atlanta Airport-related posts. This summer Elemental Impact anticipates announcing a Simon Property Group mall with HMSHost-operated concessions will serve as the SFCI Mall Pilot. Invitations for SFCI pilots in the office complex, university and government center categories are pending. Stay tuned as the FUN continues! Georgia Dome - SFCI Event Venue Pilot!